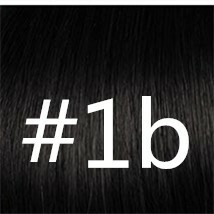 The Indian Hair Full Lace Wig is 20" #1B Off Black Deep wave,medium Cap, light Brown lace cap,it is easy to care and use. As seen in the photos this Indian Hair Full Lace Wig is very nice! The wig is human hair, very soft to the touch and feels amazing. The hair has a lot of wave, can be styled in many ways. it can be parted anywhere you want. 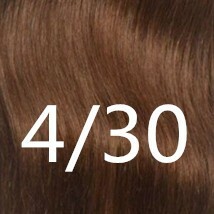 it has natural looking baby hair and hair line.This wig is absolutely gorgeous and looks and feels very realistic. Compliments will be given every time you wear it! Its been some time now and I must say that this hair is definitely worth it. I am extremely pleased with the quality of this hair and how it bounces right back. I use a curl enhancer, but you can use conditioner or a curl serum, whatever floats your boat. I would definitely recommend this wig. The hair is pretty soft and the curl pattern is gorgeous. Very Nice Wig, Fast Shipping! Love this wig, looks and feels very natural. I had this unit sewn in. Some shedding but not a whole lot. Can style a few different ways. RECEIVED MY WIG. BIG THANK YOU.HAPPY NEW YEAR BILL. Beautiful quality wig. The best that I've owned.The cap construction is amazing. I absolutely love this wig. I purchased this hair in 20 inches. Let me tell you; the hair is very beautiful. It's surely good density!!!! After I washed the hair, because the hair had a little smell, the hair looked even more beautiful. I'm so in love. I'll definitely order more. Thank you!!!! In love with this hair - so soft and beautiful - just wish they had more colour options but on the whole - it's gorgeous . So first and foremost I love this hair !!! It's so soft and great with bleaching. The only problem I have is with the shedding. It's not to much b ... but other than that it's great !!! I love this hair. Shipping took longer than expected but the hair is great so far. my customer likes it very much. it is so beautiful, she got so many compliments. will buy again!!! Beautiful!! Great experience! Thank you!! I'm loving this wig !!!!!!! This unit is very realistic. The hair is soft and it does not tangle. Received my wig 4 days after it was finally shipped (I ordered during a Chinese holiday). I am so pleased with it....I ordered a full lace medium density and it is beautiful. I bleached the knots and plucked just a little more and it looks so natural. I haven't installed it yet but when I do I will up date this later communication from seller was 5 stars . As for the curls when the hair is shampooed and conditioned and styled with your favorite custard it really resembles the texture in the stock photo. As for shedding there was some but very little, expected as it's a wig! Love love love this wig. First time buying human hair wig from juicy. I purchased the lace with natural color. Hair was soft and easy to run my hands through. 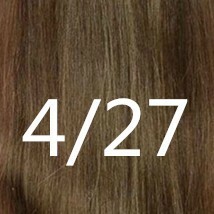 I will be purchasing more hair from this company in the future! The hair is absolutely beautiful! I didn't have to do anything to the hairline and it comes with baby hairs. Also the hair didn't smell at all. This is my second time ordering from this seller and they have not let me down. 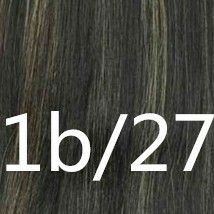 The customer service is great and they sent me a picture of the hair before sending it. I will continue to buy from this seller. They are great! I love, love the hair. I love, love the hair. Am very pleased. Hair arrived very fast, faster than I expected. Hair is bouncy and lustrous. Styled easily. I only use water and leave in conditioner then comb through with my fingers. Beautiful result. This is a great wig for the price.You get what you pay for. Always good quality as usual. Received my unit absolutely love... I really appreciate bill for hIM good service,he is lovely and very good in communication.will purchase again! Wonderful deep waves, No shedding, and Great service. 5 stars. im very impressed,very satisfied with the wig quality the wig is very soft and really human hair the company really supply good hair and also with the Great customer Service. My favorite wig, so real and natural! Great customer Service. 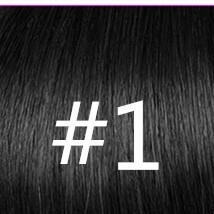 very satisfied with the hair quality the hair wig is very soft and really human hair the company really supply good hair and also with the Great customer Service. 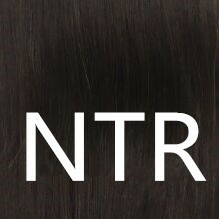 This is my first time using this site but i can say that I have had a good experience with purchasing hair frm here and I will be coming back for more. I have been purchasing hair from this seller for 3 years and I love it! I always get great quality, and shipping is amazing! Satisfied! No shedding, no tangles, no strange smell. thanks bill, a good buy! The light Brown lace cap fit me well.and the service is excellent and the shipping is super fast. thanks. NO shedding, NO smelling, Great customer service. thanks KING. Fabulous wig! LOVE, LOVE LOVE! The quality and look for the price is outstanding and I am quite pleased! Fabulous wig! LOVE, LOVE LOVE! Looks real and got tons of compliments! What a great value!! Looks real and is comfortable. SUPER Fast shipping too! This wig is gorgeous considering the price I paid for it. I even took pics for my Facebook in it. Free cap,True color and Super fast shipping. They Delivered the package much faster than expected! 5* for them. This wig is really good and I loved it. Awesome, It is really great for the price! This wig is awesome. It is really great for the price! Yes it sheds a little but so does natural hair. Great customer service on keeping the buyer updated. This Wig is awesome. Soft, holds curls, thick. This hair is as described. This Wig is awesome. Soft, holds curls, thick. Great customer service. They get back to you right away if you have a question. Delivered much faster than expected! so far so good. Thanks bill! This is an amazing unit!!! The lace is sooo soft and very high quality, the cap is sewn to perfection.Natural curls have a good bounce. Minimal shedding. Will definitely purchase another wig from this seller. I got my wig super fast and it was beautiful. It's very soft and not too shiny, it doesn't seem to tangle too easily either. It is comfortable to wear and I love the style. LOVE THIS WIG!!! Have bought this 3 times now!! It is I was able to wear this at the length it came to me for about two weeks with daily use. Item was as described. Arrived on time. Five stars! Five stars!! Five stars!!! I couldn't wait to install it! 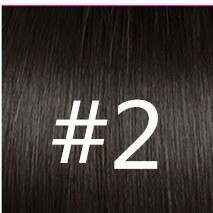 Hair is true to length, soft human HAIR! I got this wig on time as promised and loved it.The medium LACE cap size fits well and that was a concern for me because I had to fit all of my hair under that cap. I will definitely purchase again very soon. It's perfect for me. I had no issue with length, maybe because I have a full face and larger head size. Love it! That was perfect. good quality cap. fit well. I liked the product due to the quality of the hair! By far the best wig I have ever purchased! This is a beautiful wig. It has a very full density and it has a nice full lace. I would definitely order this again. Really good value for the price and good wig quality,I love it and will be ordering from this seller again. The communication and customer service was also great. thanks! Good wig, natural hair! good for the price! I received this wig in 3 days all the way from CN!!! This wig is easily worth $300-$500. The hair was VERY soft and very little shedding. I am in LOVE!!! I Love my wig, it's so soft and pretty, little shedding but that's to be expected. OMG! so beautifu! Worth Every Penny!! Absolutely love this hair ... ordered it Thursday night an got it Tuesday in time for my trip ! Hair feels so good .. no smell .. a little shedding .. but what hair doesn't .. & absolutely great communication! I will definitely be ordering from here again ! Beautiful, I couldn't wait to install it! 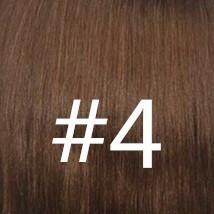 Hair is true to length, full lace #1, med cap. soft HAIR! Hair arrived perfectly on time... delivery was quick and Very beautiful hair, Awesome! The hair feels great no smel true to length look like picture will leave additional feedback the hair is very soft THANKS! Hair is great for the price! True to length. Soft. amazing hair! fast shipping! I love everything! I received the order in good time. the customer service was really good. the hair came in good packaging. it was very soft and wavy. I had a good experience with juicyhair store and I would buy from them again. It looks beautiful... I can't wait to put it on. Looks better than I thought. It is is what l expected.I love the hair. I am very pleased with my purchase. It is exactly what was shown on the website and better. The hair style and wave pattern is great.Will definitely be ordering more products! Nnatural looking and feels great! I think this wig is amazing. There is minimal shedding, it's easy to wash, and I plan on buying another wig from this company because of their great product and good customer service. The customer service was great, and I love the wig! An amazing wig of excellent quality! The wig is really soft and has a beautiful shine :) no shedding either! 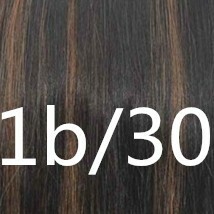 It has a really good price for such a great wig , the service is excellent and the shipping is free and super fast ! I recommend this store and wig to everyone! I will never buy a wig another place again ! I love this lace wig. It is great and the highlites are great and look very professional. I am getting so many compliments. I totally love my full lace wig. 28 out of 30 people found this review useful.